Glorious Glorr Bags Give Hope to Those Who Need It! Every Year, Kings College Alicante joins forces with the Glorr Fundacion, a charity which collects unwanted clothes and shoes for children and families in need. 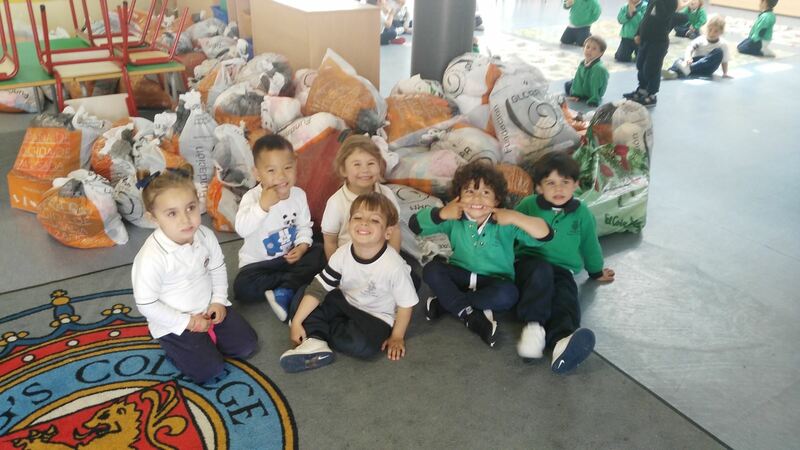 This year was no diifferent except that even more bags were donated by our generous parents and pupils. It is hoped that hundreds of people all over the world will receive much needed clothes and footwear. Thanks to everyone who donated! 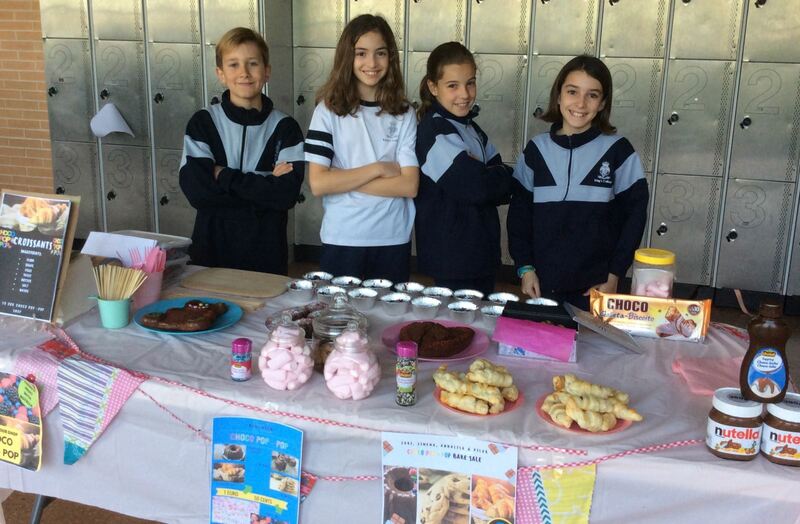 Our Y6 entrepreneurs held the most amazing Cake Sale this month. They worked in teams and planned the whole event from start to finish. Excellent publicity built excitement around the school during the week building up to the sale. 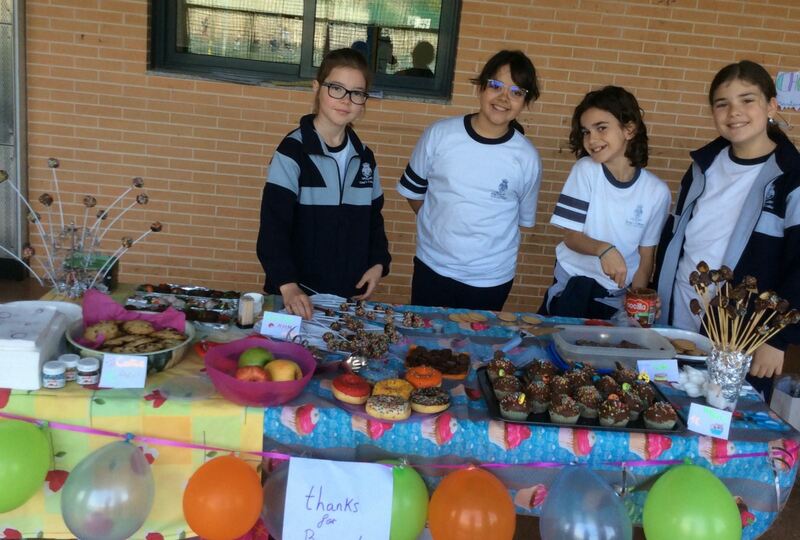 The pupils created beautiful stalls selling doughnuts, biscuits, cakes and sweets with prizes to tempt customers in. The sale raised an incredible 810 euros and the proceeds will go to United World Challenge to help educate children in villages with no school. Primary Council in Partnership with Ocean Race Project Persevere to Protect our Oceans! The Primary School Council had a special meeting on Friday March 29th, where Lucy Hunt, Education Programme Manager for the Ocean Race Project, came and presented to the councillors about the work of the project, the curriculum based work in schools and how working together we can make a huge difference. The Council participated in activities aimed at improving their communication skills and they looked at how to design an effective poster about looking after our oceans. The meeting saw the launch of a Poster competition which all children from Years 1 to 6 can enter. The Ocean Project will be awarding prizes to 18 lucky winners! A trip recount - Rio Safari! 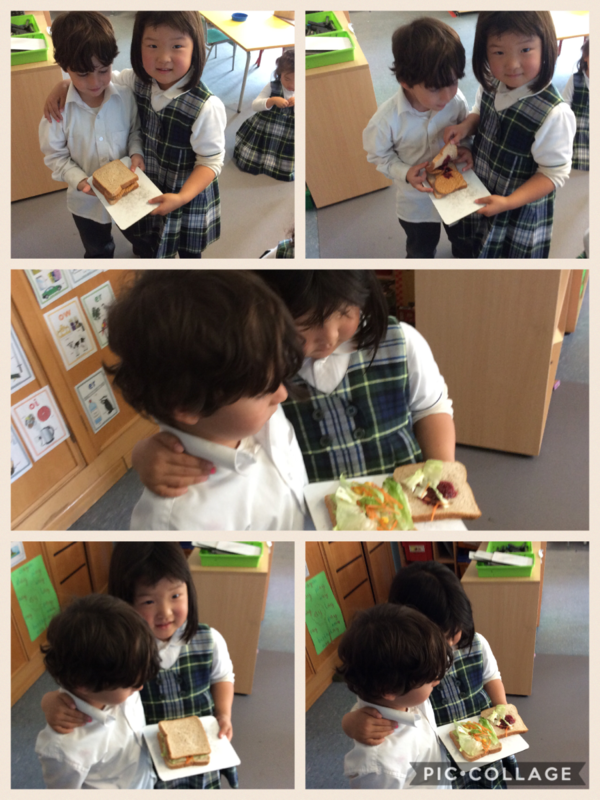 “When we got there we ate our snacks. Then we saw monkeys. After that we went to see the orangutans. One of the orangutans was 30 years old and it is one week until his birthday! Orangutans can live for 30-40 years. After a while we went to see the goats. We gave them a little bit of food. Then we saw horses and as well we gave them a little bit of food. Later on we saw a sea lion in a swimming pool. Then we watched the parrot show. It was really cool! Afterwards we saw the crocodiles which moved! Next we ate lunch. There was macaroni, chips, chicken nuggets and ice-cream. Then we went to touch the giraffe and I bravely touched it. It was very difficult because she thought our hand was food! Pupil Voice is Loud and Clear! Here at King's College Alicante, Pupil Voice is hugely important. We take pride in having a vibrant Primary School Council and in addition to that we listen to what our pupils have to say. This month the whole of Key Stage 1 was asked how they would like to see their playground improved. They met with the Assistant Head of the Lower School (Mrs Gandhi), the Leader of Key Stage 1 (Miss Ryan) and each class spent time discussing ideas; designing their own playgrounds and finally this was fed back to senior leadership to help them make decisions about the future of the Key Stage 1 playground. Many of the ideas identified by pupils in years 1 and 2 will be taken on board to help improve facilities for the children to have a better exeperience during their break times. fantastic to see children bringing in healthy snacks each day and so many love to play sports and keep active. Even the Year 6 Chocolate Bake Sale has a healthy feature to it! In addition to that, children learn how to be calm and relax through mindfulness exercises. At KCA, we are healthy, hearty and happy! Various year groups in the primary school have been on trips and visits this term. Year One and Reception went to a nearby farm where they met a variety of farm animals, rode on a tractor and baked their own bread! The children had a fantastic time and the trips really brought to life their in school learning about farm animals and healthy food. On Thursday 28th February, the entire primary school dressed up to celebrate the Alicante carnival weekend. As 2019 is the 50th anniversary of the King´s Group (which was founded in 1969) we decided that our theme for the dressing-up would be 1960s! All the children and staff enjoyed being creative and home-made costumes were encouraged. We had a great variety of cosumes, from hippies to astronauts, Grease characters and the 1966 world-cup winning England football team! In Early Years, a parent came in and played 1960s songs on his guitar and the children enjoyed their sing-a-long. The whole primary school then held a carnival parade in the sunshine! The Imed Dentist came to do a talk to children in Reception about how they can look after their teeth. This is a great time for the dentist to visit the school as the children are learning about how to be healthy. The children saw a demonstration, watched a special video and will be given some lovely dental goodies to take home at the weekend. House team competitions are popular this year at King´s College Alicante. 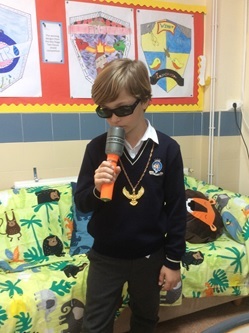 In Key Stage 2 this term many pupils are taking part in a House Rap Competition. Classes have worked in their House teams during music lessons to create masterpieces and then those who were brave enough entered the rap competition. Auditions have taken place and the standard was high! Some groups used backing music whilst others included dance and percussion instruments. Next week those that have reached the final will have the added stress of performing in front of a judging panel including Mr Blaikie our Headteacher and Miss Lally our Head of Primary! Good luck to everyone. Author Steve Skidmore, who wrote IHero, Code Mission and Kung Fu Kitten amongst many others, visited King’s College Alicante to do workshops with children from Year 1 to Year 6. Children were really excited as many of them have read Steve's books which they love. During the course of the day, he used children and teacher volunteers to demonstrate how to write and create imagery and atmosphere. Later in the day, he led a very special workshop for some of our gifted and talented pupils who see themselves as future authors. Parents Participate in putting the Jigsaw pieces together at PSHEE&C Workshop. So what is PSHEE&C? That’s what parents found out at a recent workshop that they attended at King’s College Alicante. They learned that their children receive at least one hour a week where they discuss things which may affect them personally or socially; may impact on their health, education and economy as well as develop them as citizens. Each of these puzzles lasts 6 weeks. During this time, every child should be calm and listening to the speaker. Parents, who attended the workshop last week, were able to practise being calm, like their children in a PSHEE&C lesson. Over 100 parents attended and many said that they would have liked to have experienced these lessons when they were younger. Many asked for further workshops on practical ways of helping children learn and focus. There will be further workshops held on PSHEE&C later in the year, looking particularly at Relationships and Health Education which will be statutory in the UK from September 2019. 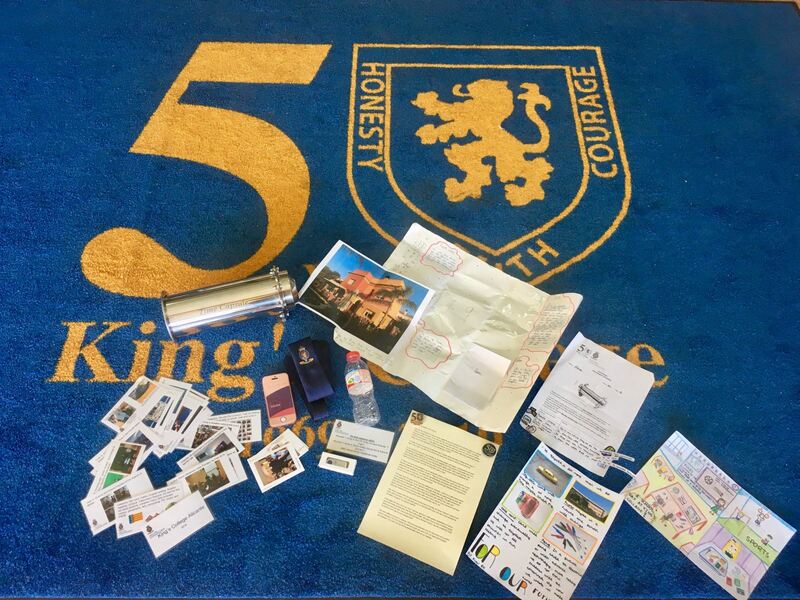 Like all schools across the King’s Group, King’s College Alicante commenced the 50th Anniversary of the King’s Group celebrations with the burial of a commemorative time capsule in the school grounds. We held assemblies to launch a competition with all of the children in Years 3 - 6 of Primary and had hundreds of fantastic and creative entries. Ruby in Y5 won with her poster and suggested contents being buried in the capsule, alongside a plaque stating it is to be retrieved in 25 years’ time. 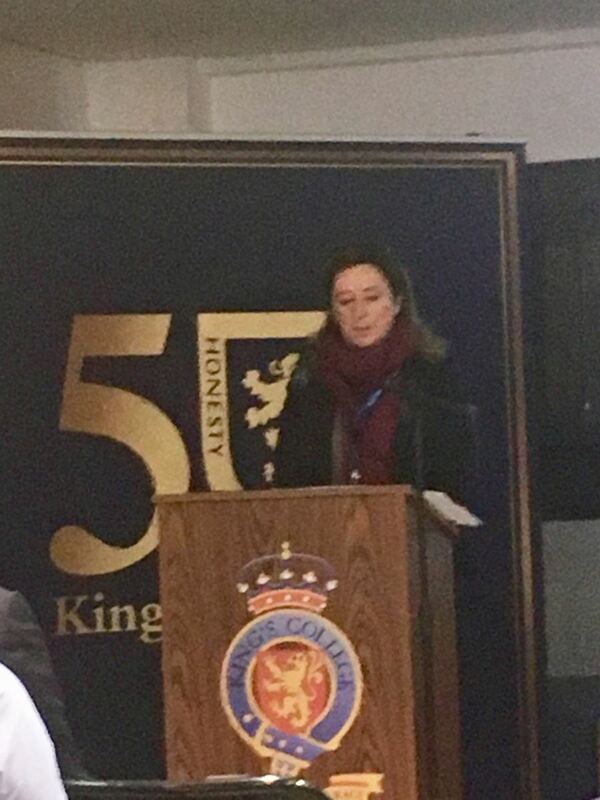 During the special assembly, the CEO of the King’s Group, Elena Benito gave a speech and presented the school with a special commemorative 50th anniversary book. Other attendees included guests from Alicante, including EUIPO, the ambassador, local businesses and members of our school advisory council. Mr Blaikie presided over the events and invited Ruby and the Head boy and Deputy head girl to bury the capsule and insert the plaque. The Year 6 House Captains were chosen to represent the Primary School, along with the co-chairs of the Primary School Council. Secondary students and the Head boy were also present to participate in this special event and provided beautiful musical accompaniment. The contents of the time capsule can be seen in the photograph. We look forward to seeing what future KCA students think about what life is like in 2019! Year 4 Newspaper Reports - Talk for Writing in Action! In Year 4, a mysterious event took place that needed some serious detective work! Miss Spargo’s medals were taken - but for what reason and by whom? Drawing on the principles of Talk for Writing, the children were given a hook for their paired writing, linked to their topic of The Olympics. After watching the video (CCTV style) of a mysterious figure, disguised by a werewolf mask, witch’s hat and a black cloak, the children had to make notes on the 5Ws (who, what, why, where, when) and the H (how). As the medals were taken on Halloween, the children’s detective skills were really tested, as all of the items that were worn belonged to different members of staff in the school! The children were extremely enthused and excited by the prospect of solving this mystery. The questioning that took place, both in the classroom and to their chosen “suspects”, was done in high-level English, which was then transferred to their writing. When it finally came to writing the newspaper report, after boxing it up into the appropriate paragraphs and including a realistic eyewitness report, the writing was fantastic. The children were talking about the event in the classroom, the corridors, the playground and the dining hall and taking note of every last detail of all of the members of staff - no one was spared the scrutiny! Finally, after the reports were written, it was revealed that Miss Lally was the culprit - but she was only taking them to get them engraved for Miss Spargo with the date of the races, and wanted it to be a surprise. Mystery solved! Eco Warriors Greener and Meaner Than Ever! KCA Eco Warriors leave no room unchecked! This month the KCA Eco Warriors have been out and about, visiting classes to see if they are being Eco friendly. Now that the colder months have set in, the Warriors are looking out for radiators which are on at the same time as windows being open. They continue to check if projectors have been kept on whilst everyone is out of class as well as lights, recycling evidence and faulty taps. In addition to the Eco walks, KCA School Council carries out its recycling walks on a Thursday afternoon each week. Councillors bring their paper recycling bags and walk down with Mrs Gandhi to the paper recycling bins. Not only do they have bags and bags of paper to recycle but they also bring down any plastic recycling! This year the KCA Primary Council is greener and meaner when it comes to plastic pollution and paper waste! Year 2 Class Assemblies are a Class Act! Year 2 Class Assemblies Get Off to a Flying Start! This month Year 2 have got the Class Assemblies off to a fantastic start! Parents have had the chance to come and see their children perform Goldilocks and the Three Bears and sing a variety of songs including one from the new music scheme, Charanga, which the school have bought this year. 2K and 2A children impressed parents with their Kung Fu Punctuation and their Talk For Write story telling. 2C wowed their parents with a fantastic piece of drama linked to their topic of Space, reenacting the Neil Armstrong and Buzz Aldrin Moon-landing of 1969! All three classes demonstrated a phenomenal level of spoken English and they showed their parents how much they loved school. Well done to the Year 2 teachers for supporting their children so brilliantly! KCA children explore the sky at night! On 19th November, children from Reception and Year 2 classes had an amazing opportunity to get close to the stars, planets, moon and milky way as they crawled on all fours into a giant inflated planetarium. Once inside the dome planetarium, children were able to see the night skies and learned about some of the constellations. They were given an insight into the other planets in our solar system. This experience has provided the children with a great stimulus for discussion about the topic of Space and subsequent writing which they will do as part of their English lessons.